PCD CNC Turning Inserts. 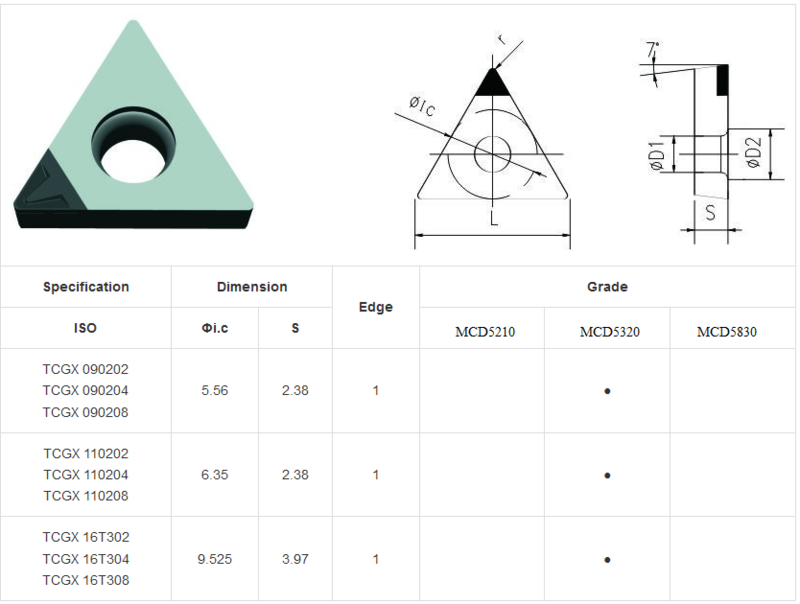 Our PCD standard inserts can be used in producing material like: high silicon aluminum & aluminum alloys, free machining bronze alloys, free machining copper & copper alloys, brass & brass alloys, magnesium alloys, presintered tungsten carbide, fiberglass, low tensile carbon, and so on. 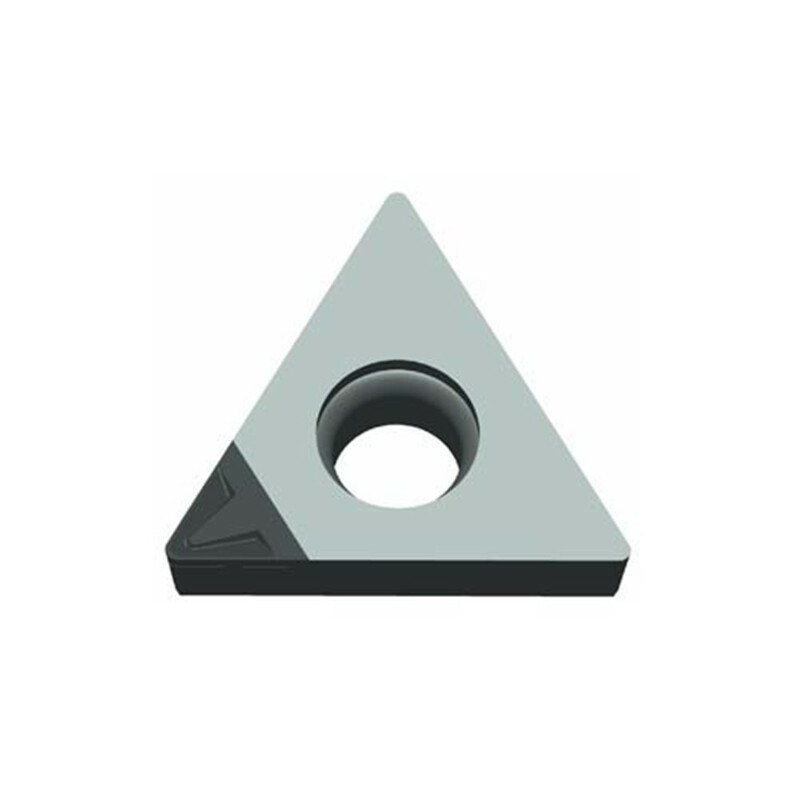 Our PCD Inserts provide smoother and faster cutting speeds, their feed rates are higher and the service life is also longer, when compared with traditional ceramic cutting or carbide tools. Grade: MCD5320; Machining Mode: Continuous Interrupted; Processing Materials: Good wear resistance is a better overall performance of coarse-grained materialsuitable for machining aluminum, high silicon aluminum. cast aluminum, aluminum and composite materials; Application Industry: automotive, aerospace, medical, mobile phone. Grade: MCD5210 Machining Mode Continuous: Interrupted; Processing Materials: High surface finish requirements of aluminum,copper, precious metals, wood, plastics. Application Industry: Circuit board,powder metallurgy, medical instruments. Looking for ideal Aluminium Processing Cutting Insert Manufacturer & supplier ? We have a wide selection at great prices to help you get creative. All the Welding PCD Turning Inserts are quality guaranteed. We are China Origin Factory of Welding PCD Inserts. If you have any question, please feel free to contact us.